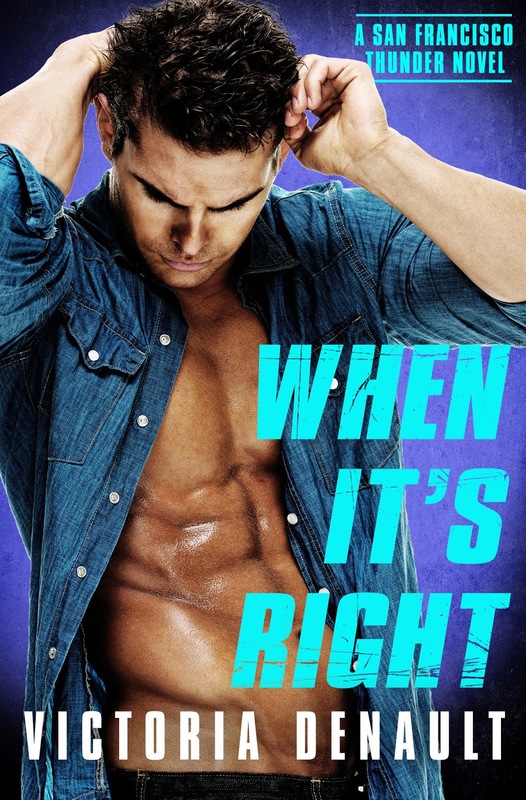 I am super excited to help the lovely Victoria Denault reveal the cover to When It's Right, the 3rd book in her widely popular San Francisco Thunder series. I am a bit late to the party so you've probably already seen the cover, but hey... Those abs are worth another look. Am I right? I cannot wait to read Sadie's story. We've gotten to know her in the first 2 SFT books and it's time for her to shine in the spotlight. And Griffin? As much as I love my hockey players, I always get stupidly excited when it's the coach that finds love. We don't get nearly enough coach heroes and I want more! I can't wait for When It's Right! It comes out on August 14th, just in time to get me revved up for the 2018-2019 hockey season. Yeah, buddy! Until then, who are you rooting for in the Stanley Cup finals?